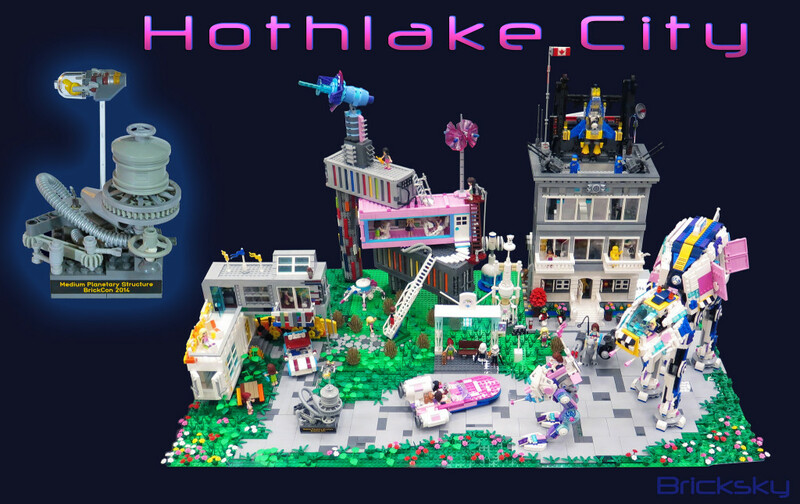 Congratulations to Tyler Sky whose MOC won the “Medium Planetary Structure” trophy in the Space category at BrickCon 2014 in Seattle. Tyler and Frances Sky collaborated on this build. They took their latest MOC’s and combined them into a display that they hope could be equally liked by boys and girls. To see more of Tyler’s Star Wars / Friends mashups, head to his Flickr page. This entry was posted in MOC Announcement. Bookmark the permalink.